Right as the golden age of the muscle car wars were beginning to ramp up in 1967, Ford partnered up with Carroll Shelby and Shelby American to create one of the most iconic cars of all time: The GT500. Based on the 1967 fastback and outfitted with 428 ci V8, the 1967 Shelby GT500 was a brute force brawler designed to make monstrous amounts of torque and to melt tires. Having collaborated together on the wildly popular and successful 1965-66 Shelby GT350 and the Le Man GT40 program, Shelby and Ford pairing together on the ’67 GT500 was a natural joining of the forces for another successful and competitive platform. The ’67 GT500 was the fastest car (aside from the GT40) to lap Ford’s test track, managing to put down 13.6 quarter-mile, trapping 106 MPH—a most impressive feat for 60’s engineering. 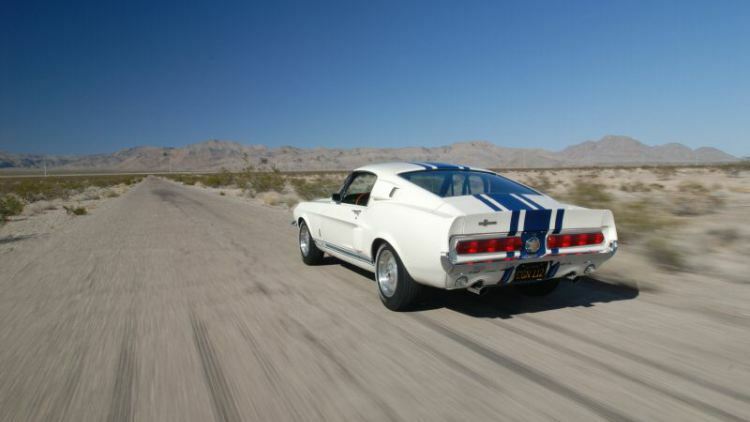 While the Shelby GT500 shared the same shell/body as the normal GT fastback, that’s about all they had in common. Everything from the shocks and struts, wheels, interior, transmission, gauges, and even tail lights, were different between the two models, with the GT500 getting the top-shelf treatment for a 1960’s muscle car. Production of the GT500 carried into 1969, with the car undergoing some visual changes and overall body redesigns. Despite no new GT500’s being produced for 1970, unsold 1969 models were sold as 1970 models, with legally updated VINs and a few small minor cosmetic changes. The world went 37 years without the Shelby GT500 nameplate gracing a Mustang, until 2007, when Ford reintroduced the name on a factory modified Mustang that lived up to the legacy of the original 1967 GT500. The 2007 Shelby GT500 was wildly popular, even before it was available for sale with enthusiasts (and dealers) trying desperately to get an allocation for one. Many dealerships resulted to using a lottery system to select who would be able to buy one of the few available GT500s, with some people even auctioning off their reserve online for a higher asking price. The 2007 Shelby GT500 returned with a 5.4L (331 ci) supercharged iron block engine, pushing out 500 HP at the crank. Built on the popular, retro inspired S197 platform, the GT500 flourished once again, becoming the poster car for over the top muscle car performance, all for a reasonable price. As the GT500 aged, it only became more and more formidable and alluring with each and every revision. By 2010, the GT500 was putting down a hefty 540 HP and received a design refresh, brought about by the platform refresh of the S197. The 2011 model was updated with an aluminum block and reworked supercharger, but the biggest changes came about in 2013. The 2013 Shelby GT500 was the last GT500 Carroll Shelby got to see in production and ride in before his passing. The 2013 model received a larger displacement, bumping up to a 5.8L engine and a 2.3L TVS supercharger, helping to boost the overall power to 662 HP, an absolutely staggering amount of power. Holding the title of fastest/most powerful Mustang to date, the 2013 GT500 was able to hit a top speed of 202 MPH. Ultimately, the Shelby GT500 nameplate was benched from Ford’s line up of Mustang submodels going into 2015 and the era of the S550 platform. The Shelby GT350 nameplate was resurrected and reintroduced on the S550 chassis along with IRS suspension and a bespoke 5.2L flat-plane crankshaft V8 engine. While you cannot currently buy a 2017 Shelby GT500, you can get the next best thing: a Shelby American upgraded Mustang GT. Despite Ford not offering a GT500 for the 2015+ Mustang, Shelby American has looked to fill the void with their Shelby Super Snake package. Starting at $36,000 plus the cost of a new Mustang GT, Shelby American will tear your Mustang apart and build it from the ground up with top of the line performance parts that ultimately result in either a 670+ HP or 750+ HP supercharged Mustang this is capable of smoking anything coming out of Detroit currently. 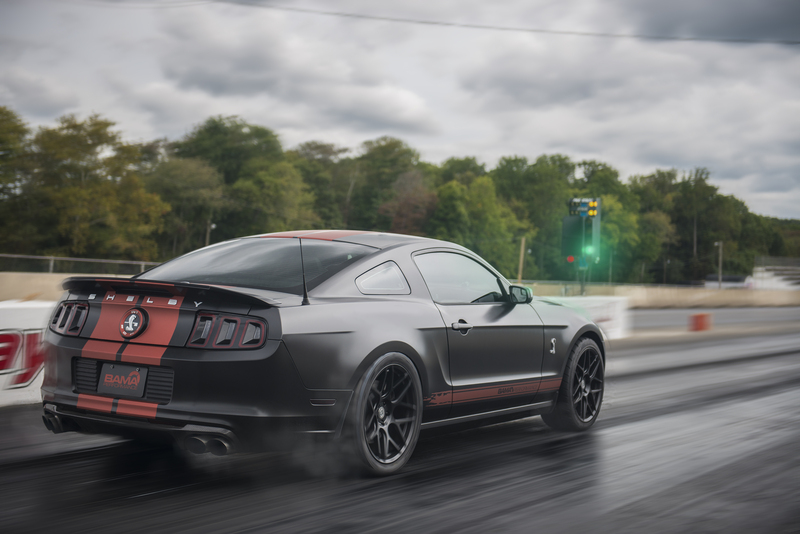 The Super Snake package modifies just about everything from bumper to bumper, adding a supercharger, wheels and tires, and a slew of other mods inside and out. However, to be completely clear, this is not a GT500, the nameplate which is owned by Ford, which in turn also means it is not an official Ford product. It is a Shelby American vehicle, which only licensed Shelby American Ford dealers can sell (or you can take your vehicle to them yourself, skirting around using a dealer). Nonetheless, this is the closest thing we have to a true GT500, and the performance figures certainly live up to what we’d expect from a GT500. An S550 Shelby GT500 for 2019? While enthusiasts were all expecting the fabled Shelby GT500 to return once again for 2017 during its 50th anniversary, ultimately it looks like it isn’t going to happen. Despite this, there has been growing speculation that a GT500 is in the works. 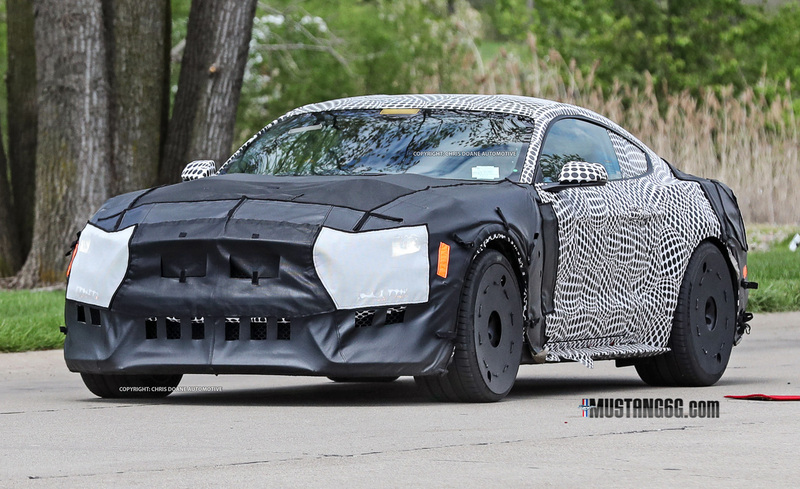 Spy photos have captured a mysterious Mustang rolling around Dearborn, clad in camo, sporting a rollcage, beefy wheels and tires, and delivering a demonic exhaust note. Unfortunately it is still a little too early on for us to know for sure just what exactly Ford has been working on, but from what we’ve seen so far, all signs are pointing towards a 2019 Shelby GT500. As of right now, the GT350 is only slated for production through 2018, which means that there would be an open slot for a cobra badged Mustang. Traditionally, Ford has never offered more than one SVT/Shelby Mustang at a time, and I can’t foresee them bucking the trend anytime soon. The Shelby GT500 is more than just another juiced up Mustang with an inflated MSRP. 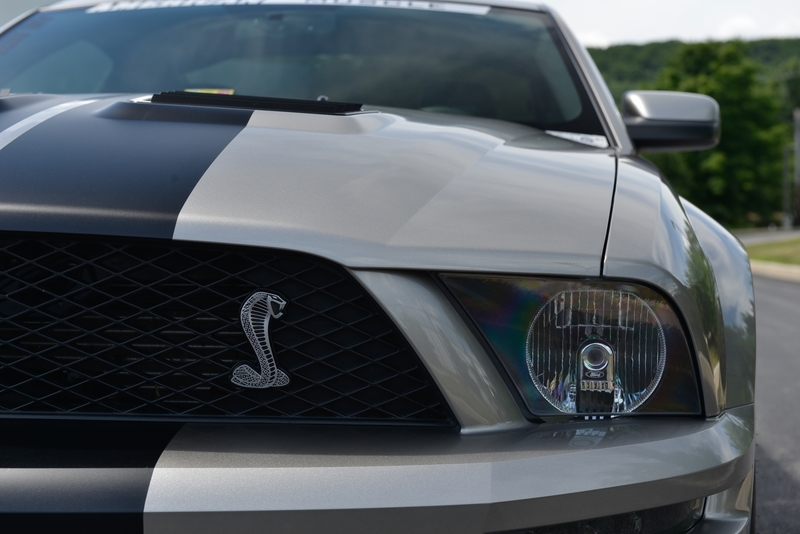 The legacy of the Shelby GT500 is one that has been firmly planted in performance and brute power, which has flourished thanks to a solid regimen of fierce competition on the track and on dealership lots amongst the “big three” manufacturers. The GT500 is a throwback to the days of going for greater and greater raw power, made possible by engineers and enthusiasts who craved bigger engines that delivered jaw-dropping numbers. The fleeting glimpses and short-lived production runs of the GT500 have helped to build up its legendary status—one that has been rightfully earned and always defended. Who knows when we will see the Shelby GT500 again; whether it comes in 2019 or not, its revival is certain as it is such a large and integral piece of the Mustang’s identity. Here’s to 50 years of excellence through performance and here’s to looking at 50 more. 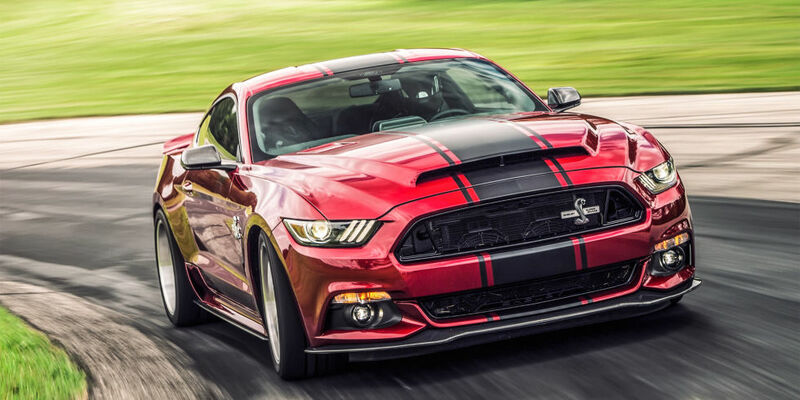 Do you think it is time for Ford to bring back the Shelby GT500? Or is it time to put this snake to rest? Comment your thoughts below!